Jurgen Klopp has little time for the pundits who have criticised Jordan Henderson following Liverpool’s captain’s performance versus Sevilla midweek. Multiple stats regarding Henderson’s pass and tackle completion circled Twitter, with the Englishman a victim of the hyperbole which typically follows a disappointing result. Liverpool led 3-0 at half-time but thanks to some barbaric defending and the players’ belief vanishing, we ended up drew 3-3. 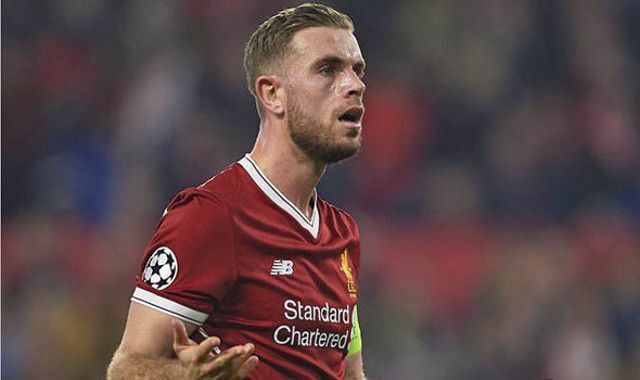 According to Liverpool’s manager though, the criticism for Henderson has been misguided, especially from those in the studio who never did a better job during their own playing careers. “First of all what I would really prefer is that we do not always talk about ‘what people are saying’. If you always big up what people are saying on social media then we talk about it as if it is the truth,” the Liverpool manager told the Independent. “Even if they are pundits it doesn’t mean it makes sense, it is only like creating a story. I heard a lot of things about what people said about this or that. We have to accept it at times but we should not suffer all the time. Jurgen Klopp’s backed Jordan Henderson since he took over in 2015. “He is a proper captain,” Klopp insisted. “Meanwhile, he wasn’t when I came in but only because he didn’t know how to do it because nobody had to think about how to be captain at Liverpool because they had one for 20 years [Gerrard]. “From the first moment, whatever he [Henderson] is doing it is not good enough because even when he is good he is still not as good as the other one was. I have no problem with that. We can all improve but it is not about the position 6 or whatever. We had to do much better in all positions. Klopp’s comments on the Steven Gerrard comparison are spot on. Just because he’s taken our legendary no.8’s armband, he shouldn’t be judged against one of the greatest midfielders of all time. Henderson is not that and never will be, but can still be a vital cog in a successful Liverpool team. It’s time fans supported our captain properly.